FaceTime isn’t available everywhere and not all carriers support it. As of this writing, the following countries do not support FaceTime: Saudi Arabia, Pakistan, and United Arab Emirates, including Dubai. For these countries, FaceTime isn’t available or does not appear on any iPhones, iPads, or other Apple products purchased or used in those listed nations. If you live in one of these blacklisted countries, please leave a comment below and let us know how you feel about the lack of FaceTime support. 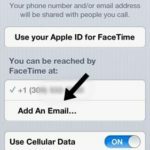 Take a look at Apple’s comprehensive list for worldwide FaceTime support to see if your country and carrier is listed. If you do not see FaceTime as an app on your iDevice, you or someone else may have removed the FaceTime app. In that case, you need to restore it. Open the App Store and type in FaceTime in the search bar. It should come up. If so, download and install it. Alternatively, search for the FaceTime app in Spotlight or using Siri. If not, you need to run iOS10 or above to see the FaceTime app in the App Store. Go to Settings > General > Software Update and update to the latest iOS and then try the steps above again. Go to Settings > General > Restrictions and make sure that BOTH FaceTime and Camera are turned on. When you have Restrictions turned on for your Camera, you are unable to use FaceTime. 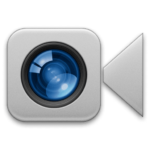 If you have folders on your iPad or iPhone, FaceTime is often tucked away in one of those. So check your folders too! 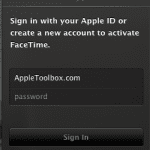 FaceTime frequently appears in your Productivity folder or the Utilities folder. If you have the FaceTime app but it’s not working, please check the following post on using FaceTime. 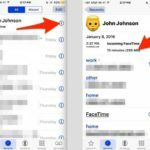 Why don’t have FaceTime app in my phone?How to do that?Please help me. If you can’t find FaceTime on your iPhone by searching for it via spotlight, open the App Store and type in FaceTime in the search tab. If it shows up, then download and install it. I have bought iphone 8 in dubaivmall apple store there is no facetime apps how i can get it. Unfortunately, for devices purchased in the United Arab Emirates, FaceTime is blocked by their government regulations. And it appears that UAE sells models of the iPhone 8 with and without FaceTime. 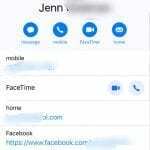 However, some readers say that if you use an unrestricted SIM in your phone, FaceTime should work. First, check your model on Apple’s website to see if your model is indeed a UAE model. Make sure you change your Apple ID associated with your device and with iTunes/App Store are not listed with UAE in your address–update those settings to reflect your current country of residence. Once done, open the App Store and manually search for FaceTime. If it pops-up, install it. I bought an iPad mini 3years ago in England and I can’t get FaceTime can you help? Are you still in the UK or elsewhere? If you do not see FaceTime as an app on your iPad mini, open the App Store and type in FaceTime in the search bar. It should come up. If so, download and install it. how ridiculous – I buy an iPod Touch in Dubai’s famed duty free, then get it home (UK) to find that it does not have the best app that Apple have – FaceTime. I find out now that it is because the state blocks this app in the factory. So why do they not issue a warning in their shops “Apple Store – come and buy maimed Apple product that only half work”??? and now my son is disappointed that he cannot speak to his sister on FaceTime when she is away at boarding school.. I am very hacked off and feel cheated. Any simple way that I can fix this nonsense please? Apple must label their product in Saudi market as No FaceTime so as not to fool buyers. I bought my iPad Air in Saudi Arabia, it has no Facetime App. but has a Notification Settings. Now that i live in Philippines, can i download or do something about it? But i don’t think they have a downloadable Facetime App in AppStore, or is it another stupid fact that i bought the unit in Saudi Arabia? My husband bought the new iPad pro in the UAE in the global airport on his return t the United Kingdom and unfortunately didn’t realise it didn’t have FaceTime. We have contacted Apple customer services who quoted the laws for these countries. However the senior customer service advisor did not know the answer as to why until he went and researched it!!!! His email response was …..
“What has happened, and what i learned from this and passed on confidential information to _____to assure him of my good will and transparency on this process, is that engineering group must comply with Legal procedures from higher up instances with Apple, simply because Apple is not above the law on the markets where products are sold, and any work around means a legal contractual breach with local laws from those countries. No one at Apple can autorise a change to the behaviour of a product if this setting is mandatory on the region where product was purchased. Any product exchange under the warranty is always like for like. This is the response i got yesterday, and as a speaker for Apple i assure you this was a final response I’ve been told to pass on. My duty was to explain to _____yesterday, the best i could, and i hope i can get this message across to you as well. The guy was very very helpful but I’m really disappointed in Apple as I wan’t trying to break a law by tampering with the iPad …all I wanted was a big company like Apple to allow me an exchange in a country that did allow FaceTime. I mean at the end of the day if Apple is a global company what’s the problem???!!! I wasn’t asking them to allow FaceTime in the prohibited countries or adapt the iPad pro that was purchased. Just a simple exchange in one of their global stores that does facilitate this app!!! I use FaceTime with all of my family and to date have purchased 9 iPads and 7 iPhones. Whatever happened to goodwill and customer loyalty reward!! why oh why do you abuse your customers oh apple..why? why don’t you treat all customers world wide by offering all facilities and it is up to the buyet to choose what they want… I am having second thoughts about a company that treats its customers as children…I was going to buy ipad air 2 ..but now NO NO NO..
i bought my iphone6+ from ksa and there was facetime when i came back to jordan when i updated my phone the facetime gone now i live in germany and i want it back pls what shall i do ? no FaceTime in my iPad mini bought from Saudi Arabia . still it appears in the settings ! what can i do to get it ? I’m in Saudi Arabia. I bought iPhone 5s last year in may’2014. At that time it was not available on my iPhone. Whenever I updated my iPhone with latest iOS version, all the time no FaceTime was apearing on my iPhone. Just yesterday I updated my same iPhone with latest iOS 8.3 version. This time FaceTime is appearing in my settings and I activated successfully and called to my friends. I’m happy on that. Then I also updated my family iPhone 6plus and iPad Air 2 but FaceTime is not appearing on both these devices. 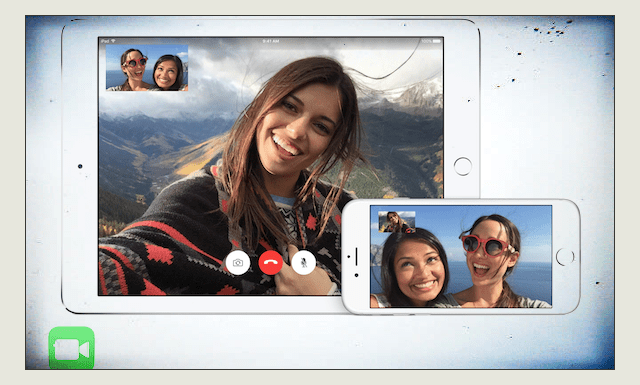 Very strange and couldn’t understand that how FaceTime appearing on July iPhone 5s and not appearing on iPhone 6plus and iPad Air upon upgrading to iOS 8.3. I’ll appreciate if anybody can help and suggest to bring FaceTime on iPhone and iPad. I just bought an iphone 6 / 64GB from Pakistan and PTA (Pakistan Telecom Authority) has blocked the use of facetime app on the phones. This is not good. Is there anything we can do to activate facetime on our phones? if there is please do let me know. just upgraded to an iPhone 6 and no FaceTime wtf? I use this to talk to my kids when working away. Not happy. Why change something we all have got use to! Samsung next phone for me! i got my iPad as present , but they bought it form Dubai , and FaceTime in Dubai is not allowed , I’m I’m in Jordan now and it is allowed.to use. My friend bought me a new iphone 6 from Qatar doesn’t have Facetime built in app..
Just bought iPhone 4s and there is no trace of Facetime please help?? I have bought an IPad air 2 in Saudi Arabia and there is no face time. I am going back home to Mauritius and hope I will have FaceTime. i have just got my iPad mini for Christmas as did my sister but there is no FaceTime on option in settings although the app is on my iPad and appears in my settings. FaceTime is not installed in my iPad mini that we purchase here in UAE pls help us what we can do? I just bought an iPhone 6 in the USA and i don’t have FaceTime installed at all. Not happy with Apple…PC is looking better! I bought a MacBook Air and an IPad Air both from the UAE. The MacBook has FaceTime, the Ipad has not. This is very strange, as restrictions should be the same on both devices. I can’t really understand why my IPad has no FaceTime. By the way these restrictions are very stupid and annoying. I bought iphone 5s from dubai and i am not having facetime . How can i get it ? Did you find a fix? I just bought a new 64gb iPad air 2, only to find out a few days later there is no dam face time! I am in Saudi also and the dealer will not refund or exchange! I live in UAE and will never buy apple products in this country again. They are hurting their economy with the restrictions. No one is impressed by excessive control.